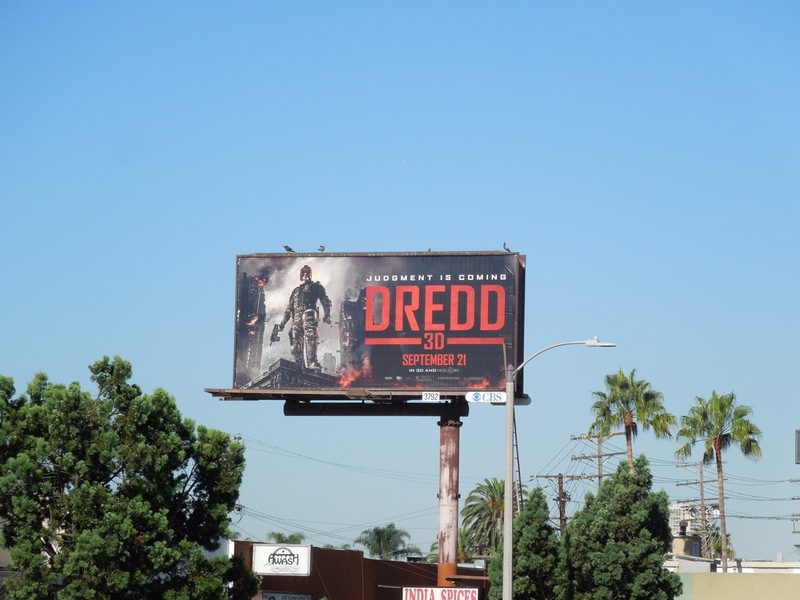 If Daily Billboard wasn't such a big fan of sci-fi and comic books, our heart surely would fill with dread at the thought of yet another movie remake coming to the big screen. 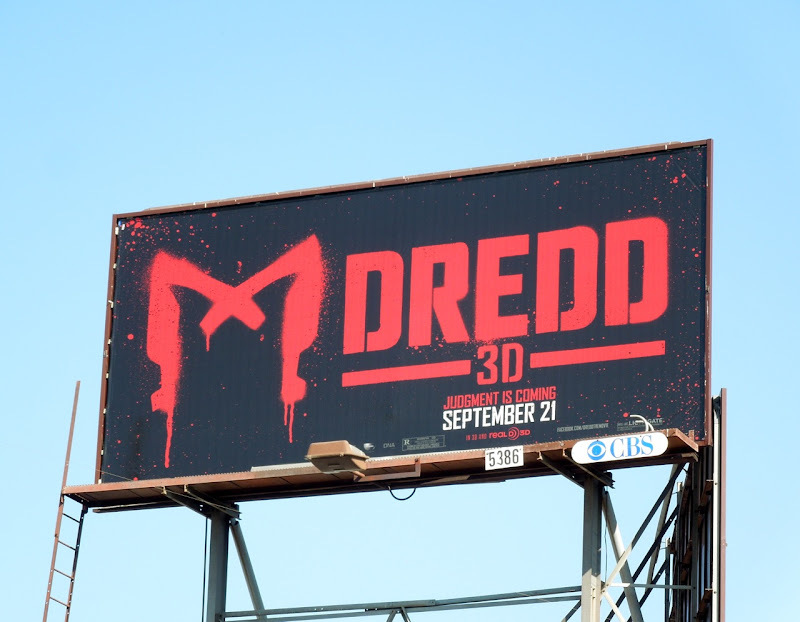 Instead here's hoping that Dredd's second cinematic outing is more impressive than Sylvester Stallone's underwhelming 1995 Judge Dredd. 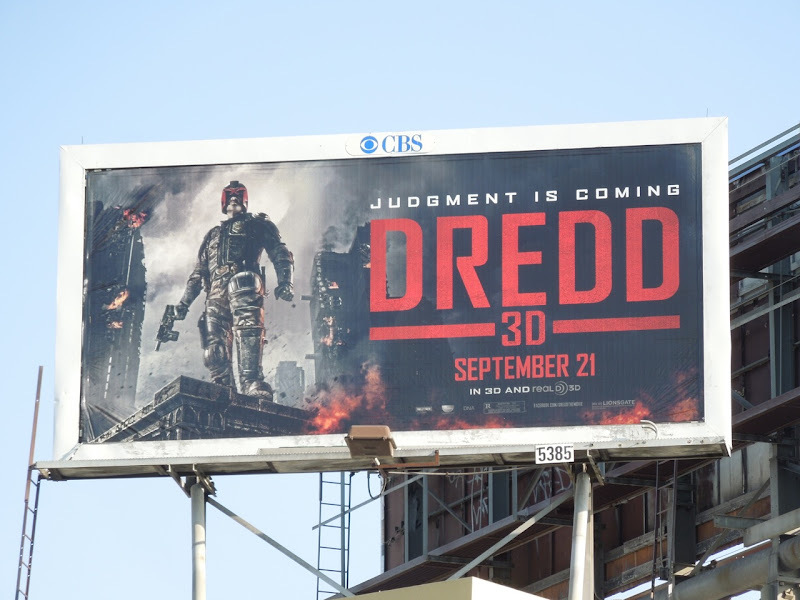 This time the man behind the mask dispensing judgement in the futuristic Mega-City One is Karl Urban. Let's hope his take on the iconic British 2000 AD comic strip star who acts as judge, jury and executioner will do the character justice. 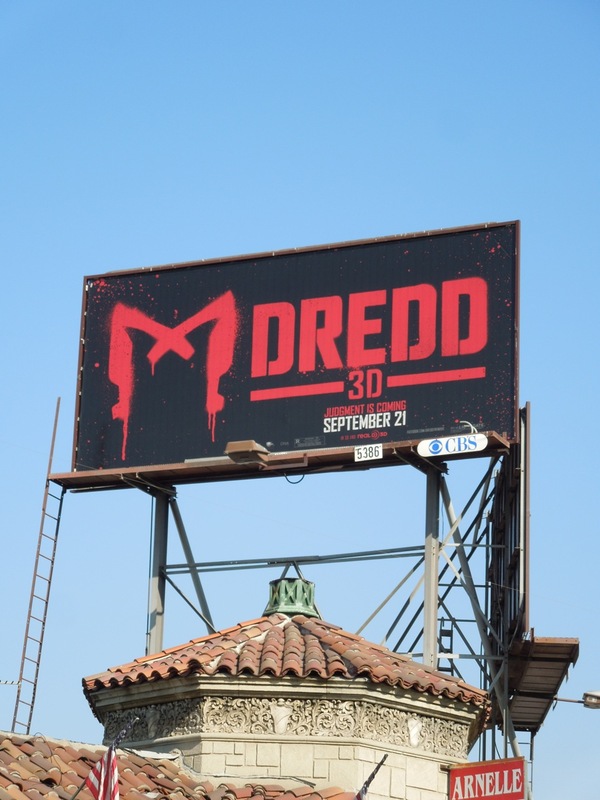 The Dredd 3D graffiti teaser billboard was snapped along Fairfax Avenue at 6th Street on August 18, whilst the 'Judgement is coming' version was spotted in locations along Pico Boulevard and Beverly Boulevard on September 1, 2012. 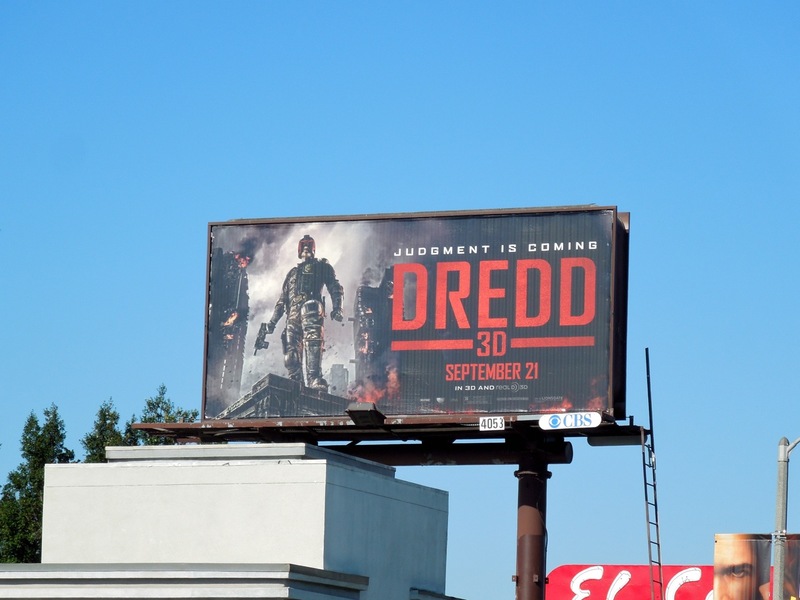 UPDATED: Even though the movie may have bombed at the U.S. box office compared with the U.K., here's a closer look at the Dredd 3D billboard snapped along La Cienega Boulevard on September 26, 2012.